Social-emotional well-being and executive functioning skills, which include initiative, problem-solving and self-control, are critical features of early childhood development that contribute to later student success. Educare schools and their research partners are collaborating on a project that aims to build teachers’ capacity to promote the young children’s social-emotional development and executive function skills. It is one of eight Acceleration Grant projects at Educare schools and is supported by the Buffett Early Childhood Fund. 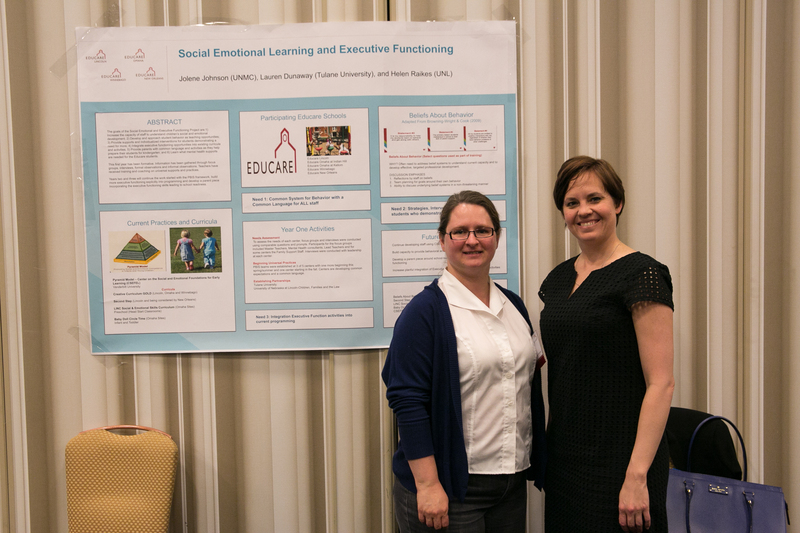 The Social-Emotional Learning and Executive Functioning project is led by Dr. Jolene Johnson from the University of Nebraska Medical Center and Dr. Helen Raikes from the University of Nebraska Lincoln and is being implemented at five Educare schools in Omaha, Lincoln, Winnebago and New Orleans. Local experts are also contributing to the project. For example, Dr. Sherry Heller from Tulane University will be providing ongoing reflective sessions with all staff members at Educare New Orleans to support the social-emotional well-being of adults as well as children. In the next two years, teams at each participating Educare school will incorporate practices from the Positive Behavior Interventions and Support model and intentionally orient new staff members to the social-emotional approach at the school. In addition, the Minnesota Executive Function Scale, a promising new social-emotional assessment battery, will be introduced at all five schools. To use the data most effectively, participating Educare schools will also have access to webinars, an intervention guidebook and a workshop focused on the integration of executive function into the curriculum. This project was featured at the 2016 Educare Learning Network Meeting poster session.